IT Rack densities have increased significantly in recent years as pressure to pack more storage and compute capability into a smaller space has intensified. These higher densities mean there is more heat being generated in a smaller space and often, the architecture of the cooling infrastructure has not kept up with the increase in power density. This can leave the existing cooling equipment insufficient and expensive to operate. Traditionally, data centers and IT rooms were cooled using CRACs and CRAHs located around the perimeter of the room, flooding the room with cold air but not necessarily conditioning the hot air. As rack heat densities increased, this method became ineffective because blowing cold air at hot air only results in warm air. In higher density environments, room cooling alone results in hot and cold spots throughout the data center and is not the most energy efficient method for controlling the temperature at the IT equipment air intake. As energy efficiency and the subsequent utility savings became a greater priority for data center managers, new methodologies emerged for managing airflow and attempting to eliminate hot and cold spots. One of the more popular is hot or cold aisle containment. This separation of hot and cold air allowed for hot air to be enclosed and ducted out of the data center and cold air to be introduced closer to the equipment air intake. Recognizing that the shorter the distance between the cooling equipment output and the IT equipment air intake, the greater the overall efficiency of the cooling architecture, Row Cooling emerged as a standard in high density environments. Row Cooling allows more targeted cooling to a specific rack or row and can be easily configured for redundancy. With its smaller footprint, row cooling units offer more flexibility in managing the airflow of the data center. In data centers with extremely high-density racks with blade servers, rack cooling equipment is often added to more closely control the airflow within a specific rack and direct the exhaust out the top or side of the rack. Rack cooling is generally included as part of a larger cooling infrastructure that includes room cooling and/or row cooling. In most cases, a combination of room and row cooling is appropriate. Ideally, containment is included in the architecture of larger data centers. If containment isn’t feasible, data center managers should consider the hot aisle, cold aisle approach to avoid having equipment blow hot air exhaust towards the intake of the equipment in an adjacent row. If re-arranging data center racks into a hot aisle, cold aisle design isn’t possible, there are many ducting accessories available to contain and exhaust hot air into a dropped ceiling. 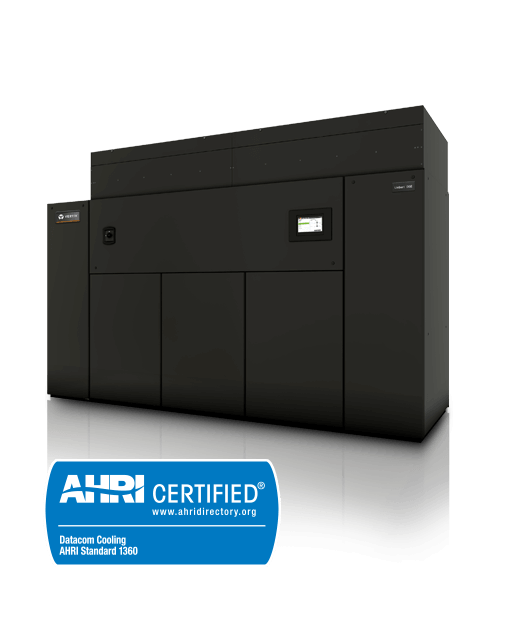 Even preventing the re-introduction of hot air into the data center can result in tremendous energy savings. As rack power densities continue to increase in data centers, computer rooms, and IT closets, the cooling architecture of the space should be periodically evaluated and assessed to make sure it is still appropriate. Our Data Center Cooling Analysis uses Computations Fluid Dynamics (CFD) to analyze the airflow and temperature patterns of your existing data center and provide recommendations for increasing overall cooling efficiency. The major cooling equipment manufacturers are continually developing new ways to improve the energy efficiency, and lower the cost, of data center cooling with newer technologies, such as free cooling and adiabatic cooling, that use the naturally cooler outdoor air available in many climates. 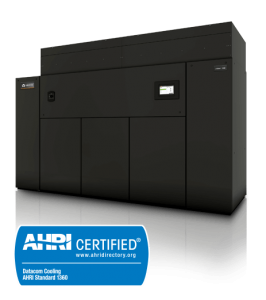 See our complete Data Center Cooling offering. Power Solutions can help you assess and design a cooling architecture for either a new build or a retrofit. for more information about cooling your data center, computer room or network closet.